Beezy Douglas is a Cleveland-based musician, event producer, and family man. On this show he sits down to talk with grassroots performers, activists, and other persons of interest that he's had the fortune to cross paths with. 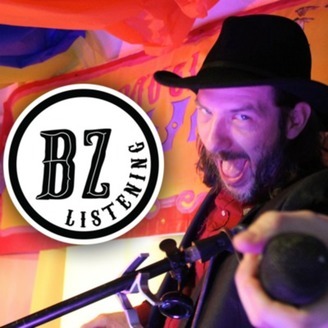 Follow me @bzdug, and use #bzlistening if you share any of the episodes! 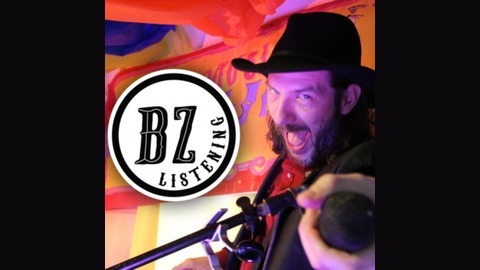 http://bzdug.com/podcast All songs included with permission from the artists. Tips are welcome at https://www.patreon.com/bzdug. This week my guest is indie-rocker and musical architect, Michael McFarland. We ended up covering a lot of ground, so I had to break this interview up into two parts. Today’s episode covers Michael’s childhood being homeschooled by his two exceptionally brilliant parents, what it was like gigging as a teenage musician (I even got him to recall his most cringe-inducing lyric from those days), his creative process, how he’s managing to achieve a middle class career in music, and his new conceptual sci-fi music project “Hello Headrush”. The second part of the interview will drop tomorrow, where we discuss the origin of McFarland Manor, the Cleveland house show Michael co-produces with former guest Mikey Silas and future guest Cassie Bishop. For any of you in the area, the next McFarland Manor show is coming up this Saturday April 27th.